is available for daily rentals. Please NOTE there will be changes that go into effect starting January 2019. Monday through Thursday rentals are now rented at a reduced rate. Key Deposits will be in the amount of $100.00. Town of Riga residents may still reserve one year in advanced; non-residents may reserve six months in advanced. 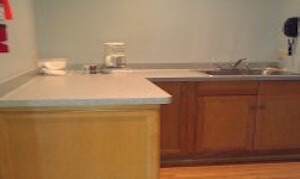 The kitchen has a warming oven, a refrigerator/freezer and microwave. The Hall is heated and has a stage. 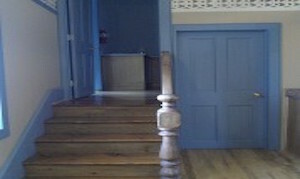 Chairs and tables are provided, (8) – 8-foot tables, (1) – 6-foot table and 75 chairs. Tables and chairs need to be returned to their carriers after use. How do I reserve a lodge? Payment and Lodge Reservation Form must be received via mail or in-person to rent a lodge. Dates cannot be reserved until payment and/or forms come in. Payment accepted includes check, cash or money order and credit card. Can I enter facilities the day before to decorate? No, you can only enter facilities on the dates and time you requested on your permit. Entering the lodge at a time other than the date/time on your permit, will result in an additional rental charge and the loss of security deposit. When and where do I pick up the key to the lodge? Key pickup is the day before your rental or Friday if your rental is on a Sunday by 4:00 pm at the Town Clerk’s window at the Town Hall, 6460 Buffalo Road. Your refundable security deposit is due at the time of key pickup in check or cash form. Where do I leave the Key? All keys must be returned to the Town Clerk by Tuesday at 4:00 pm following your rental date. There is a drop box located at the doors to the Town Hall where a key may be dropped. Security Deposit will be returned pending the policies have been followed; facility, and grounds are found to be I satisfactory condition, and if key has been returned. Is alcohol allowed in the park? Is there a separate fee? How far in advance can I reserve a lodge? Starting for 2015 rentals, reservations are ongoing. 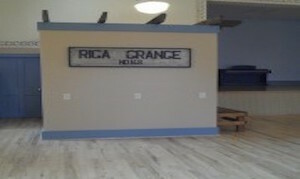 Town of Riga residence may reserve 1 (one) year in advance; non-residence may reserve 6 (six) months in advance.